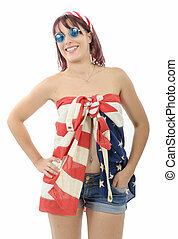 Beautiful american young woman celebrating 4th of july with flag. 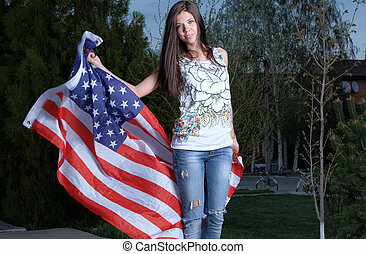 Beautiful young woman with american flag outdoors. 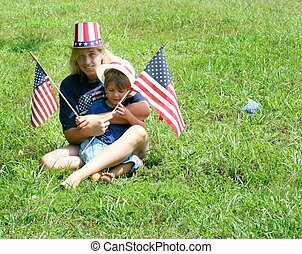 Patriotic holiday. 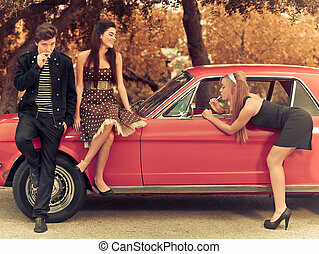 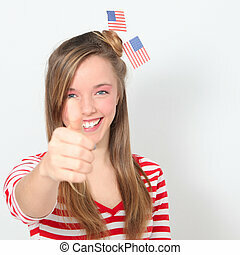 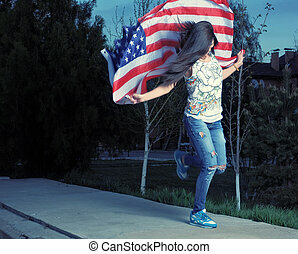 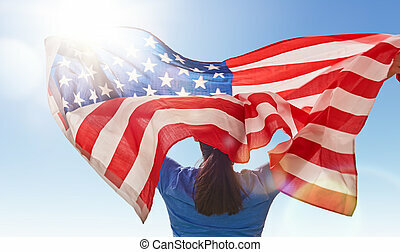 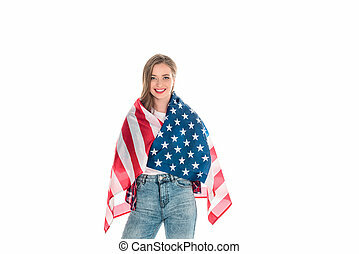 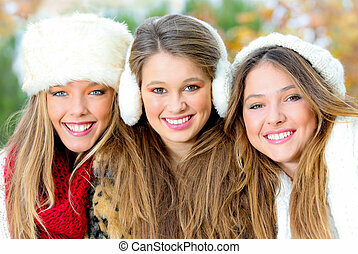 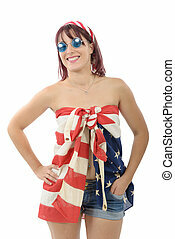 Happy young woman with American flag. 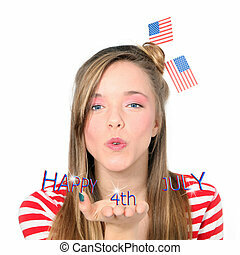 USA celebrate 4th of July. 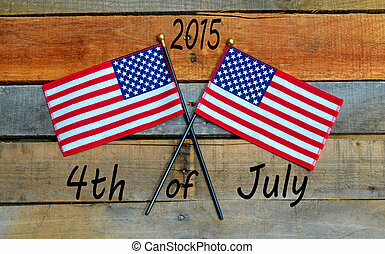 Patriotic holiday. 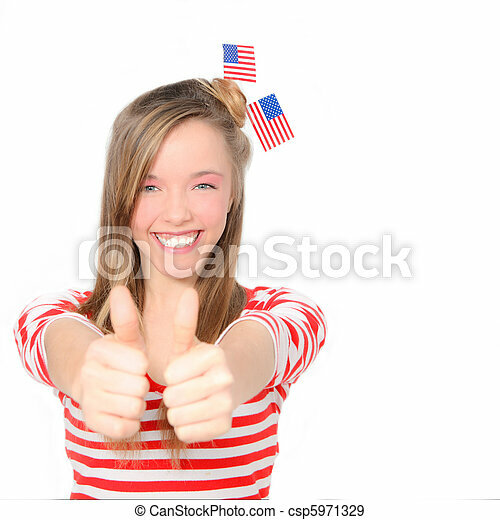 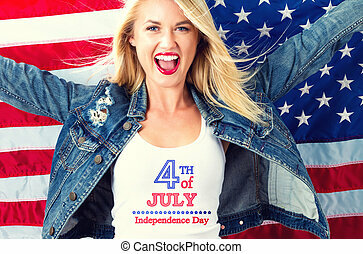 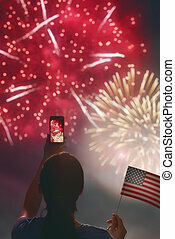 Happy young woman with American flag is looking fireworks. 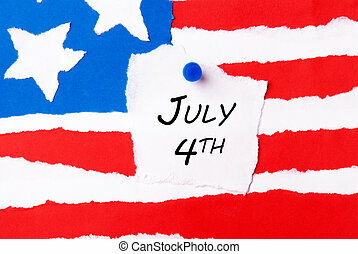 USA celebrate 4th of July.